(CNN) US President Donald Trump has appointed one of the country's leading anti-abortion crusaders to a senior communications post in the Department of Health and Human Services. 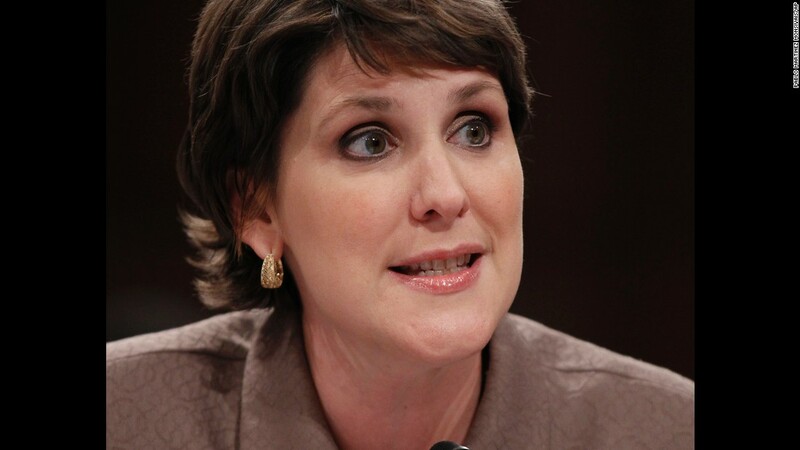 Conservative author and commentator Charmaine Yoest will serve as assistant secretary of public affairs at HHS, the White House said in a statement Friday. Yoest, who campaigned actively for Trump, is a senior fellow at American Values, a conservative nonprofit that supports "traditional family values." But she's best known as former president of Americans United for Life, which promotes anti-abortion legislation at the state and federal level. Under Yoest's leadership from 2008 to 2016 the group helped states adopt numerous abortion restrictions, including a ban after 20 weeks of pregnancy. She has been known to cite medically dubious claims, including that abortion increases a woman's risk of breast cancer. (Yoest herself is a breast cancer survivor). In a 2012 interview, she told a New York Times reporter that the scientific establishment "is under the control of the abortion lobby." The assistant secretary of public affairs shapes the agency's communications strategy. Yoest replaces Kevin Griffis, who joined Planned Parenthood earlier this month as vice president of communications. Observers on both sides of the political aisle saw the appointment as a clear win for the anti-abortion movement. Speaker Paul Ryan said the appointment demonstrated "yet again" the administration's "commitment to the pro-life cause." Anti-abortion leader Marjorie Dannenfelser, president of the Susan B. Anthony List, praised Yoest as "one of the pro-life movement's most articulate and powerful communicators." Abortion supporters criticized the appointment as dangerous. "Ms. Yoest has a long record of seeking to undermine women's access to health care and safe, legal abortion by distorting the facts, and her selection shows yet again that this administration is pandering to extreme conservatives and ignoring the millions of men and women nationwide who support women's constitutionally protected health care rights and don't want to go backward," Democratic Sen. Patty Murray said in a statement. --Execution Time: 4/20/2019 5:31:19 AM - 4/20/2019 5:31:19 AM = 0.0938063 sec.